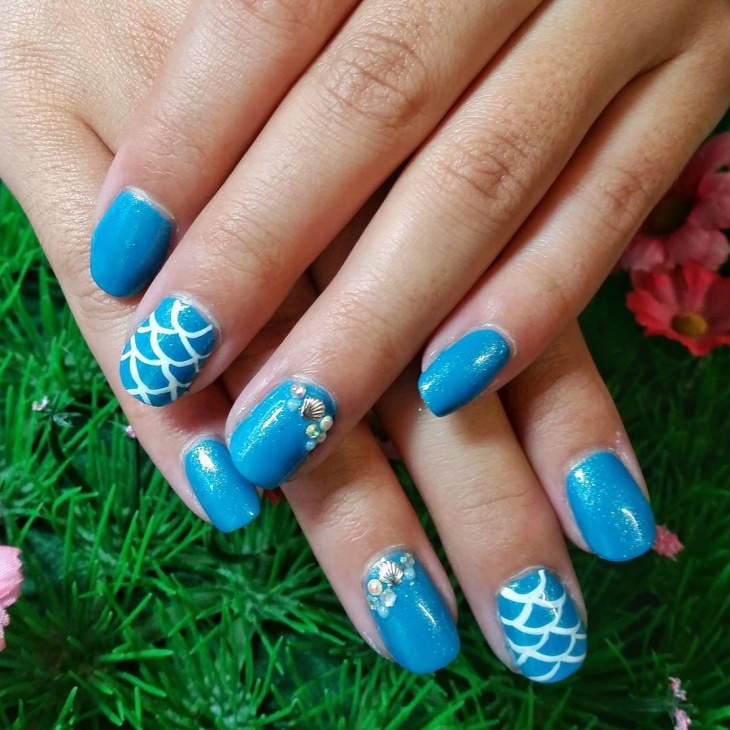 As the summer is on full swing and everything around seems to be emaciated in the sweltering heat, a mere glimpse of a water body can give a calming effect to your mind and body. 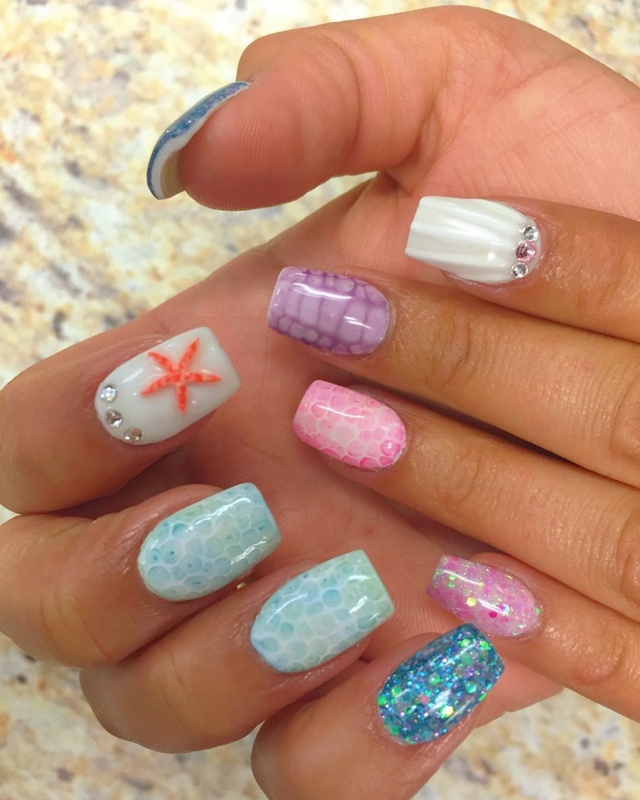 Use your imagination to adorn yourself and beat the heat with some innovative nail art designs. 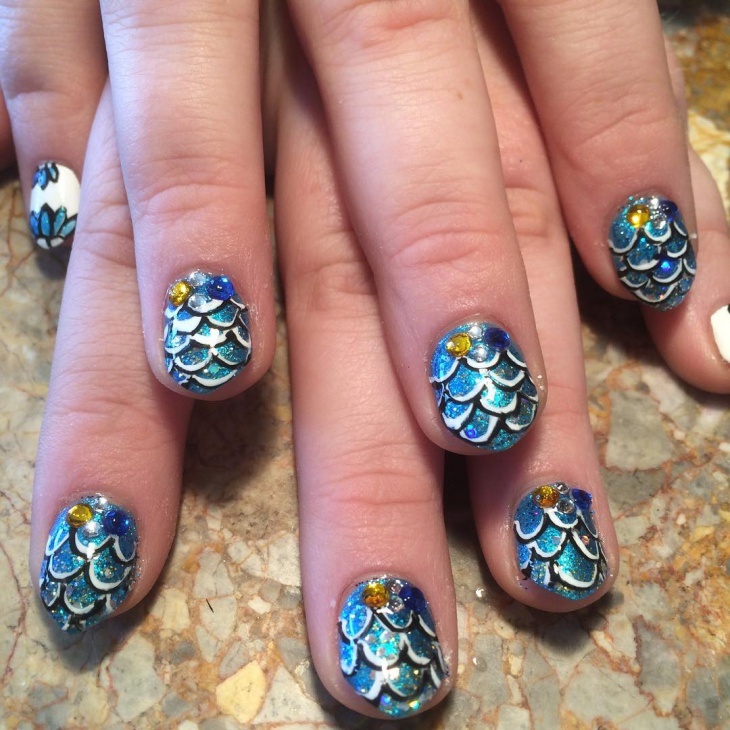 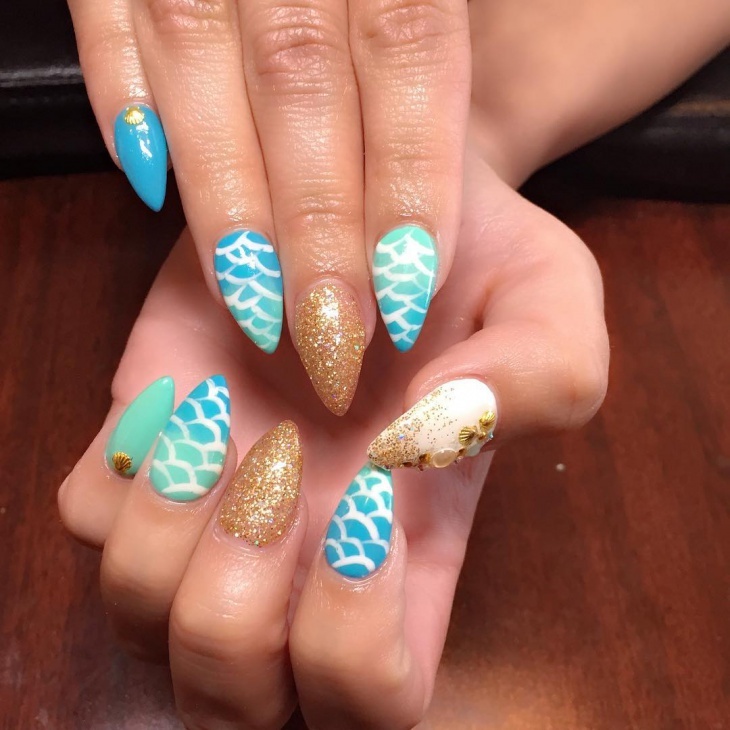 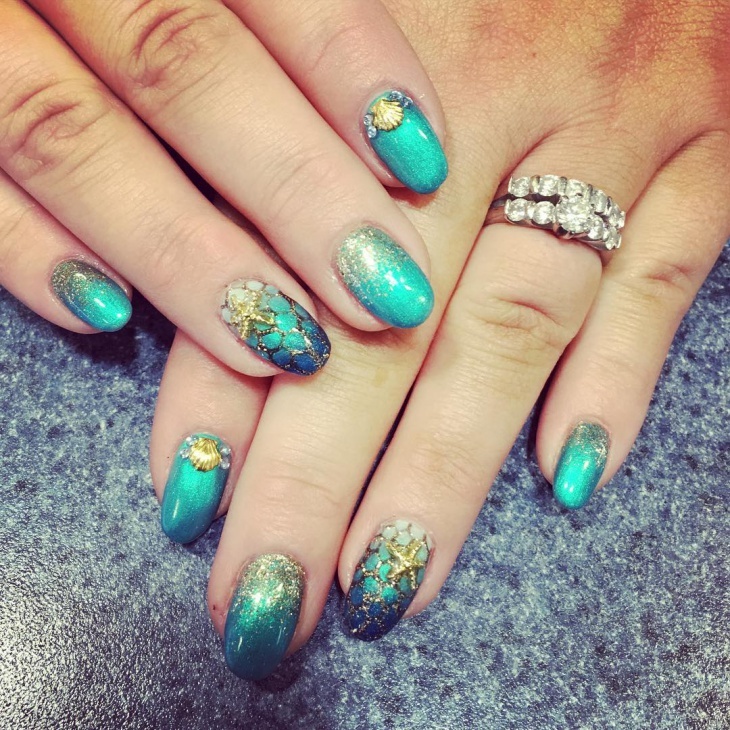 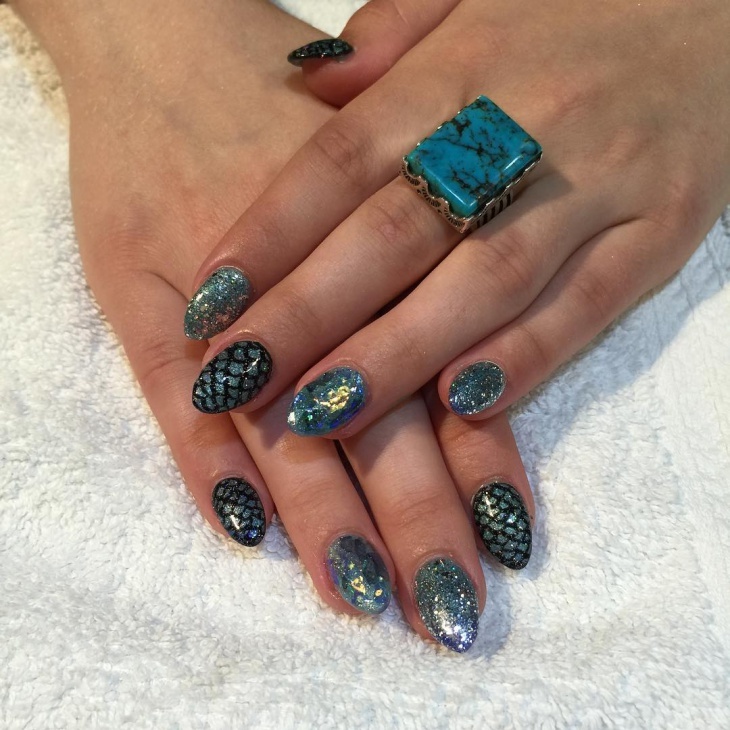 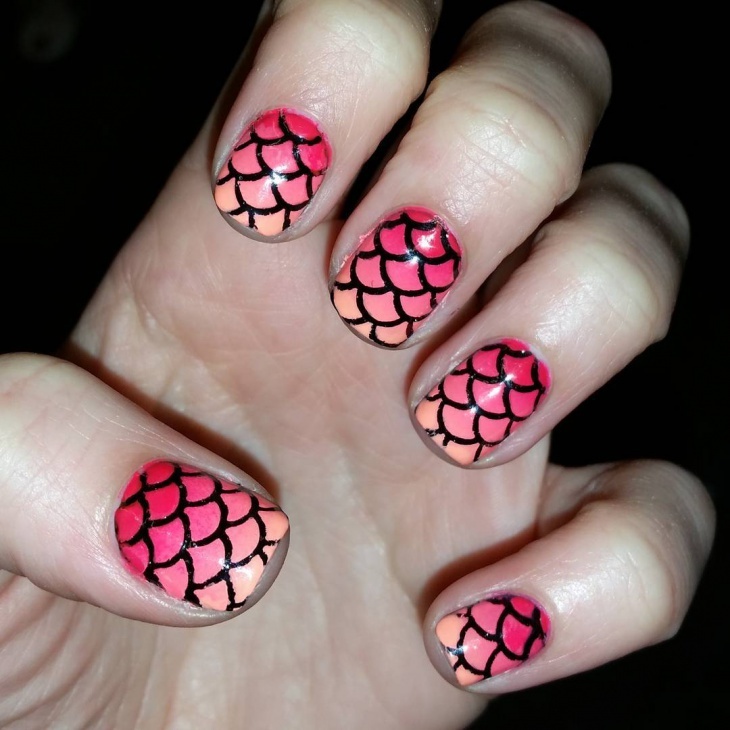 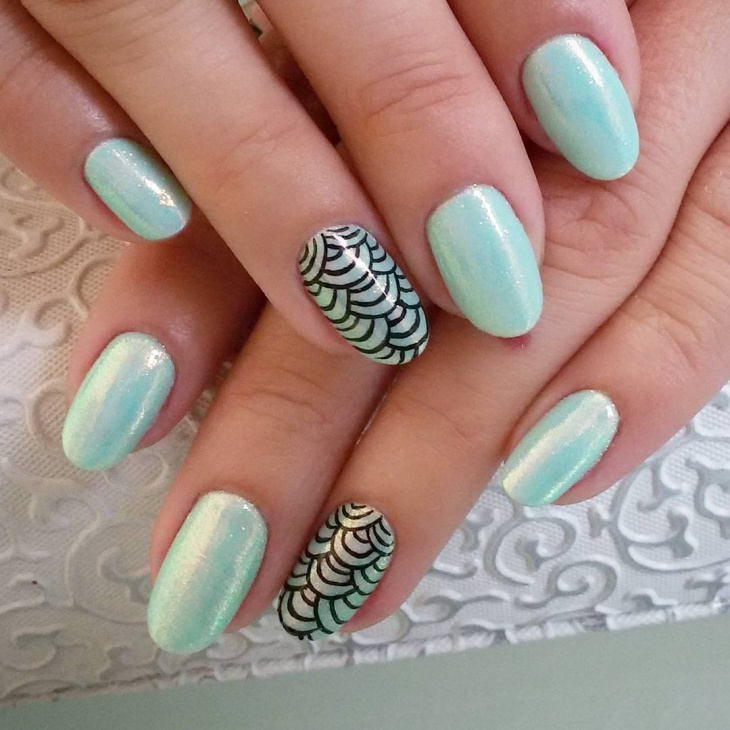 For that why not try the Mermaid Nail Designs to create an illusion of the sea on your hands? 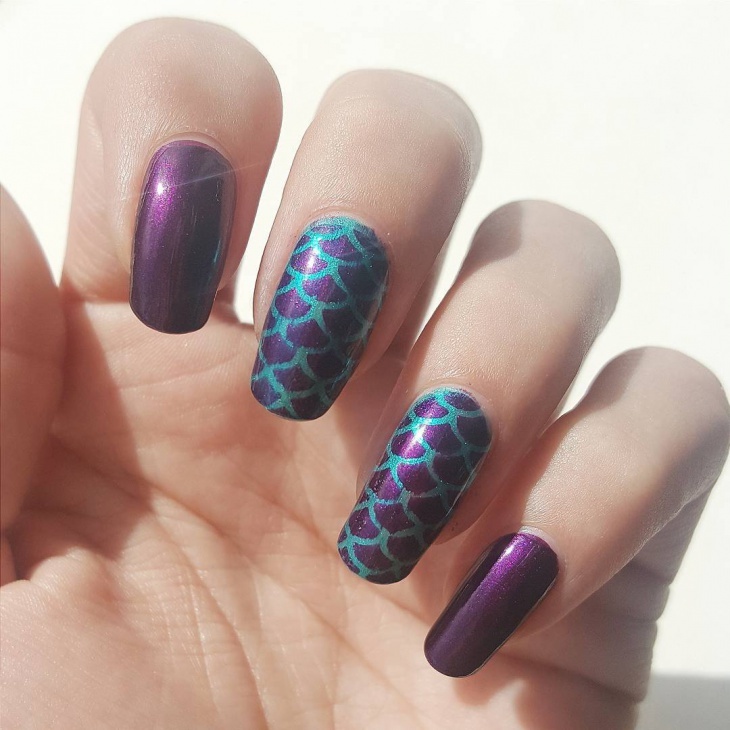 For an extra kink in your nail art, try using shimmering nail colours as your base coat on which you will create mermaid designs. 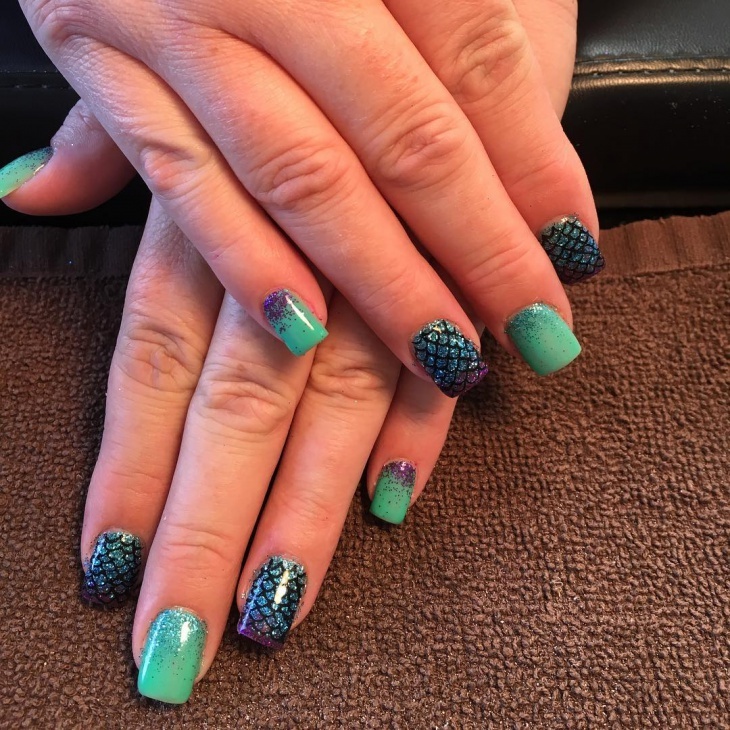 Else you can use iridescent particles on your matte finished base coat (preferably blue or sea green) to get your desired effect on your nails. 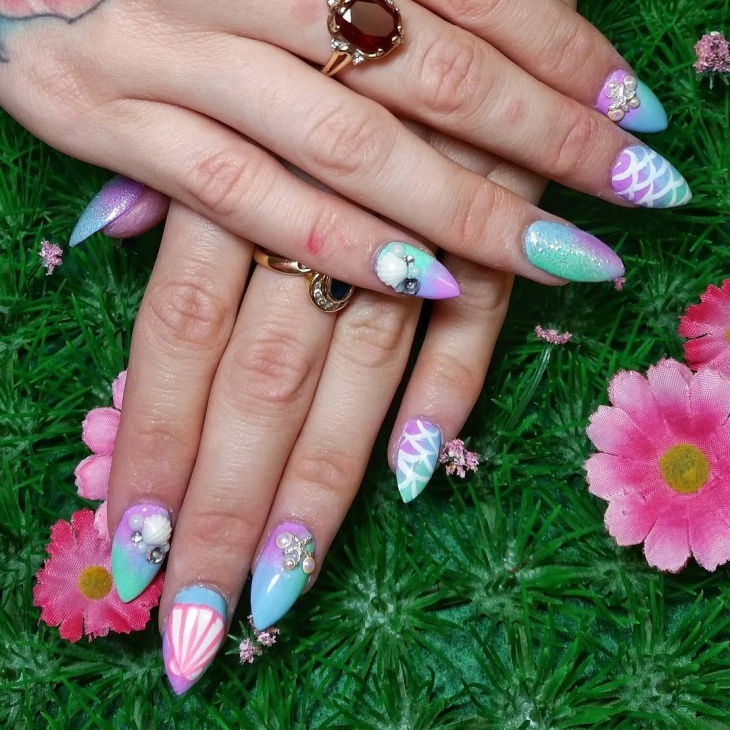 Once the design and the particles are well stuck to your nails, apply a coating of glossy colourless nail polish to finish your nail art. 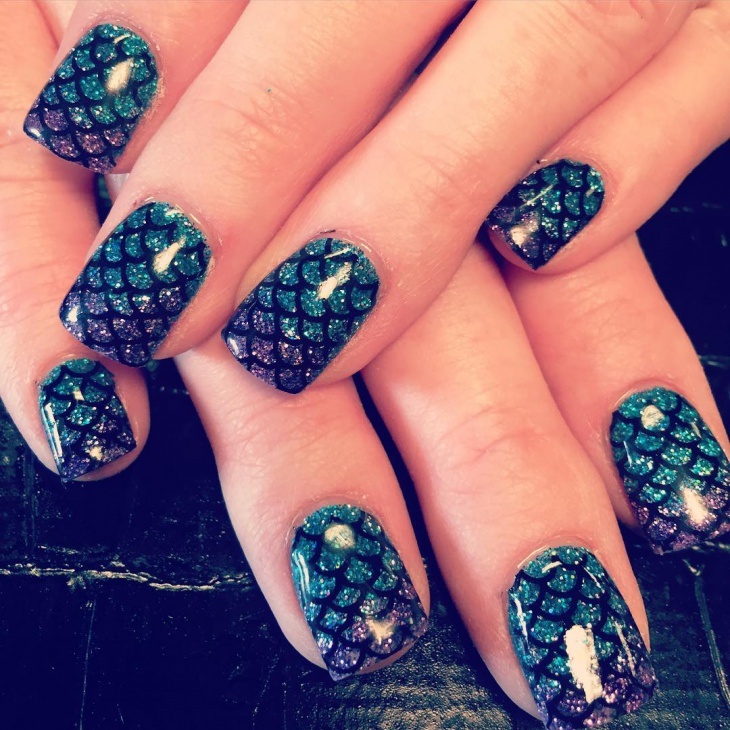 You can add a lot of variations in your Mermaid Nail Designs by giving a punch of your personal skill. 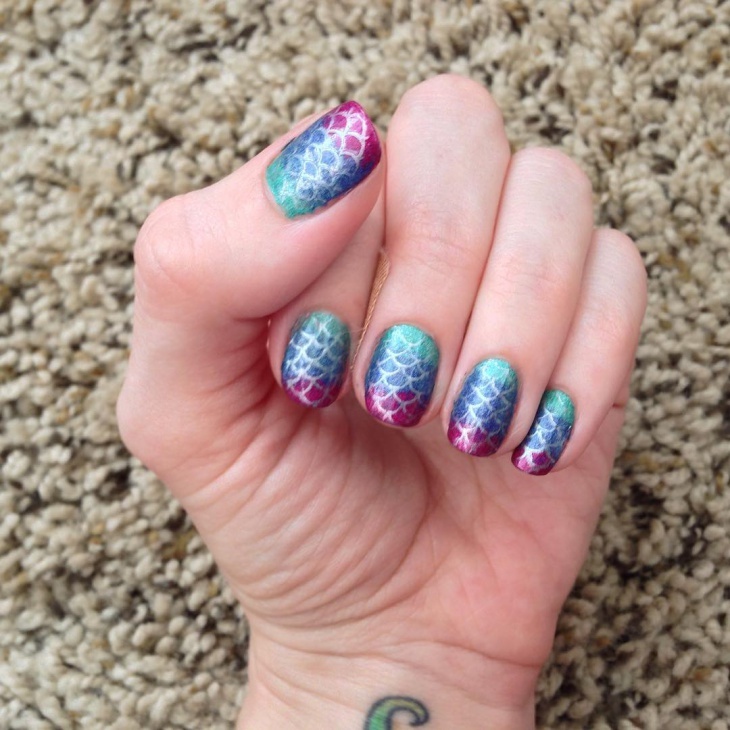 For a personalized look in your nail art, you can use the iridescent dust on your alternate nails. 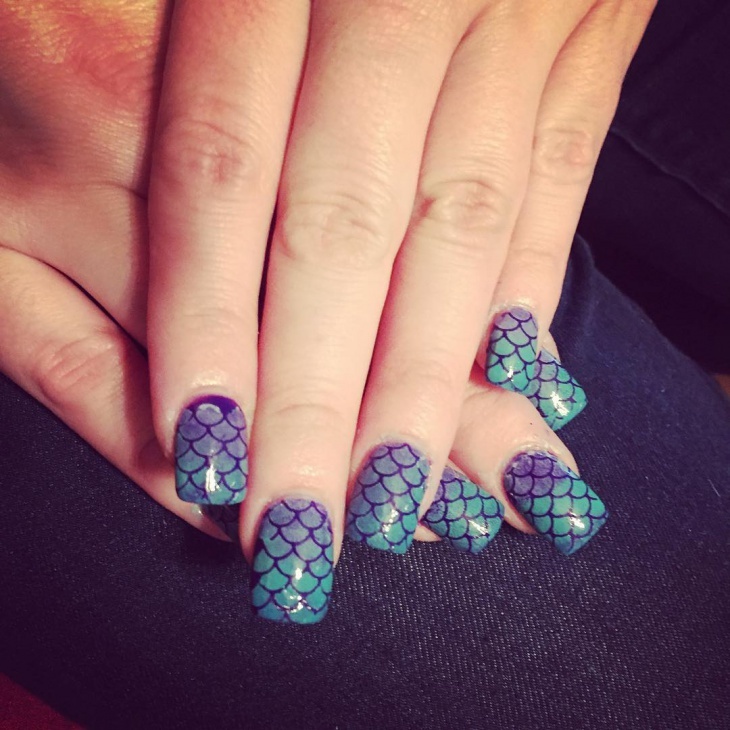 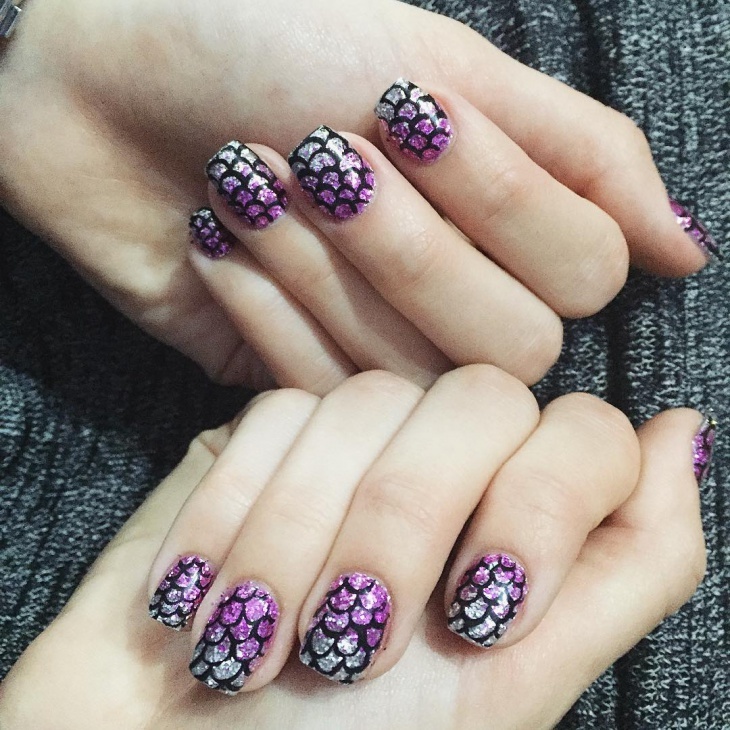 Instead of rushing to beauty salons for getting your nail art done spending bucks, you can go through different online tutorials and create your own Mermaid designs. 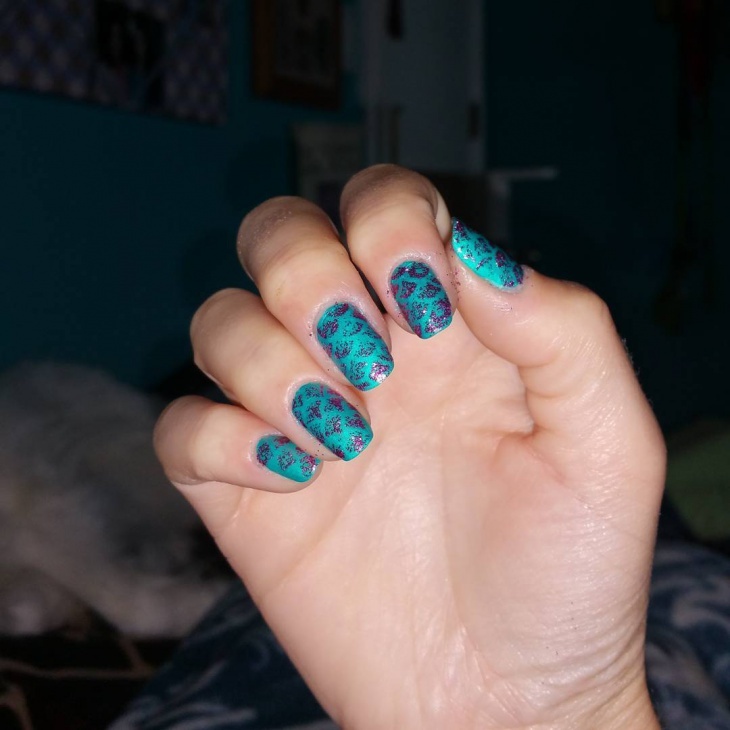 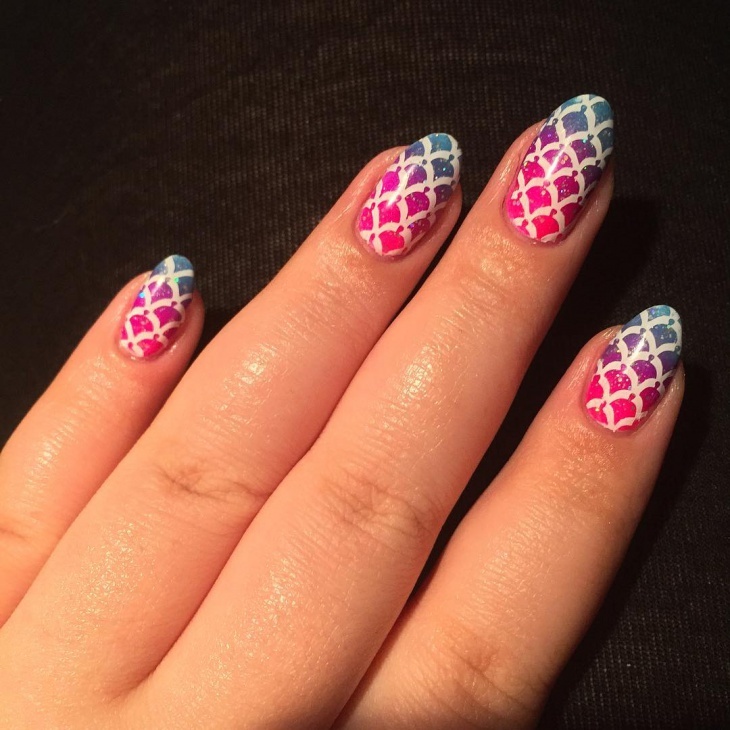 You can use waterslide nail decals that look great on any nail lacquer. 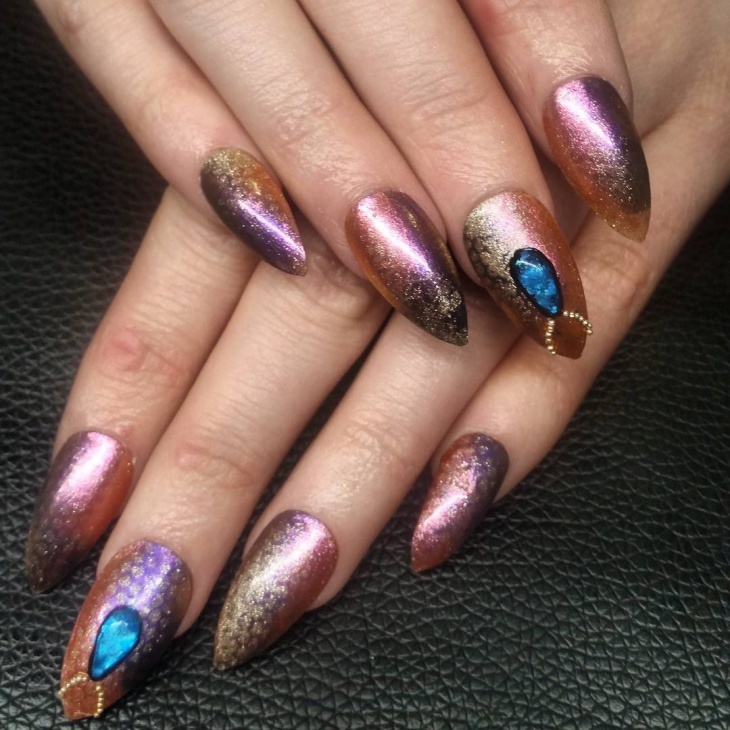 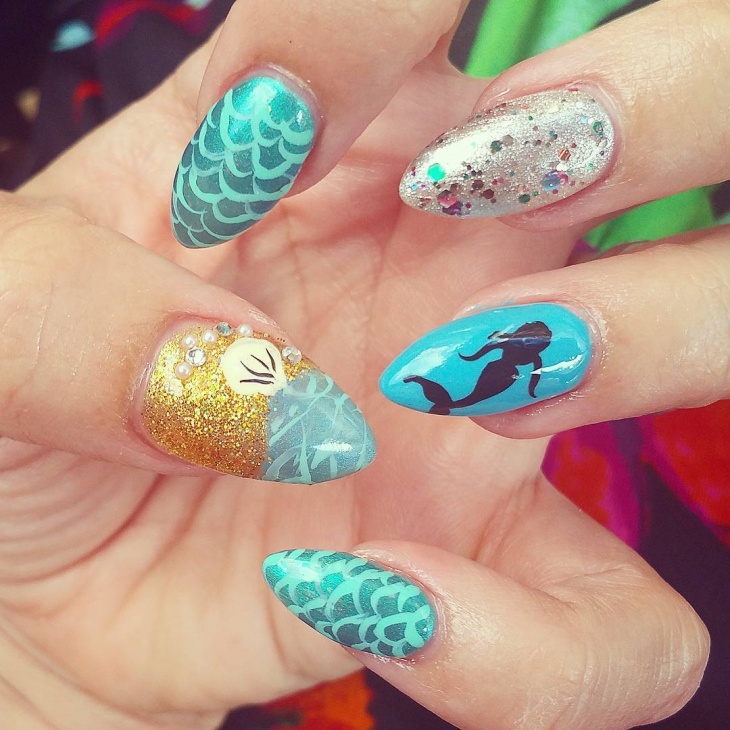 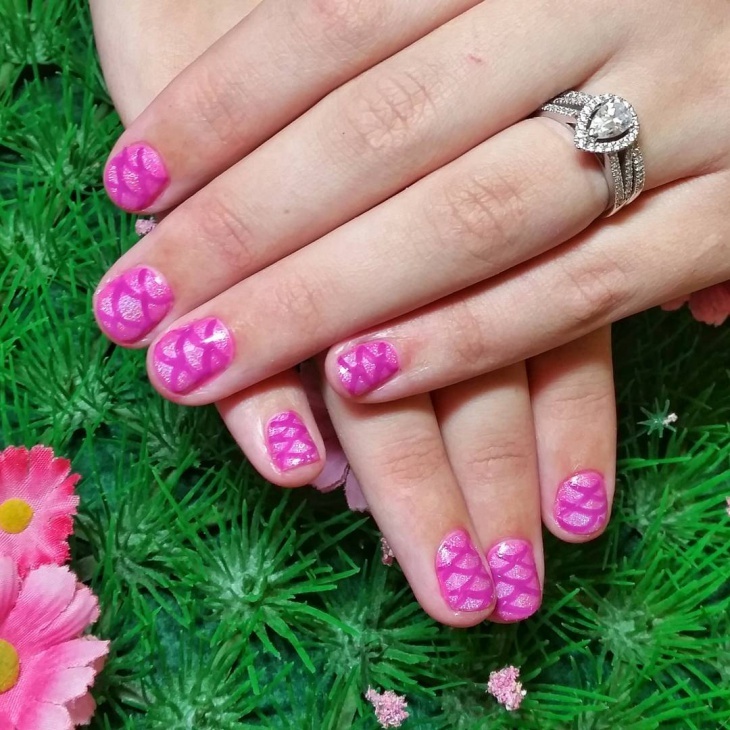 As mermaids are considered to be fascinating creatures of the sea with their long cascading hairs and slender postures, with the Mermaid Nail Designs you are ready to rock any summer party!